Email signatures are among the most overlooked aspects of a well-rounded marketing strategy. It’s one way to communicate your brand concept easily and your leads and contacts will have a better understanding of your business. It’s a part of the brand experience and it allows your contacts to connect with your business more. If you haven’t considered including a signature in your official emails, then it might be time to do so. Email signatures can be customized for each specific employee to create a unique personality. When it comes to email marketing, you have to appeal to each potential client’s preference in order to effectively turn them into leads. To help make sure that this is the case, you can customize the email signature blocks and use it as a part of a distribution vehicle to appeal to a specific audience. It’s a great way to improve your branding experience with a fraction of the cost compared to other marketing strategies. First off, it’s a cheap and efficient investment to ensure to your web presence grows. As you do more market research and appeal to more groups of people, you will improve the engagement and establish a long-lasting relationship with your future customers. Plus, you won’t have to forward each email individually for additional contact details and promotional offers. Email signature marketing is an incredible tool for startups, as initial investment and upkeep are fairly low. But first, you need to understand the recipients’ preferences, which is what we mean when we say you need to do a thorough market research program first. Think about your brand, what is its core concept? What do people want from your brand? How do they expect your brand to treat them? What is the market perception of your brand? 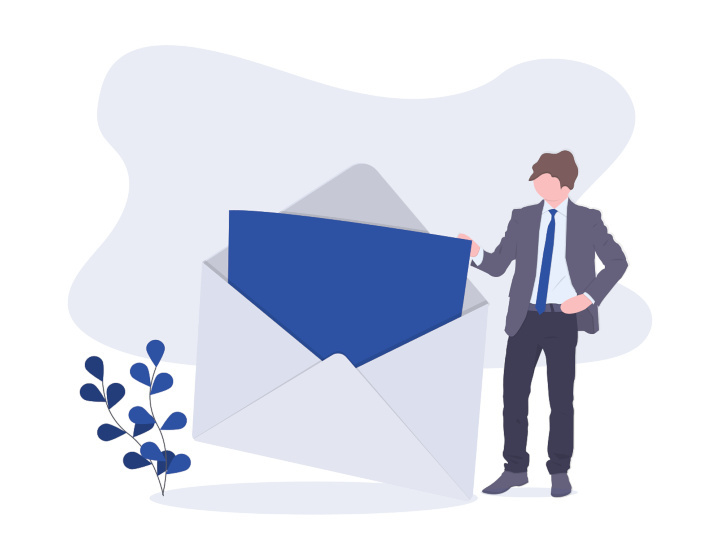 Once you’ve established these ideas, you can start customizing your email signatures that resonate with your recipients. This way, you’re ensuring more conversions and effective lead generation. Each employee of a company can send over 10,000 emails per year, so why not make these emails more memorable. It’s one of the most seen marketing vehicles, and if you haven’t thought about that before, then it’s time to do so now. Most companies use Gmail or Yahoo for their professional business emails, both of which allow for a wide array of customizations. These signature blocks can include more than just your contact information, but your promotional messages, your brand idea, or even the links to your mobile app, services and products. It’s not a direct promotional method, which is why it’s less invasive than a typical promotional email. Plus, the recipients will already need to see the email, so it’s not hard to see why having an email signature can be an amazing addition to complete a marketing strategy. As mentioned, each employee email can be customized to show their personality, title, specializations and more. There are multiple options you can opt for, like fonts, colors, additional links, or even graphics to make the recipient’s experience more wholesome and complete. Additionally, a customized signature, if repeated enough, it can create a sense of authenticity and authority. This will help to make your emails seem more genuine and avoid making them look like spams. 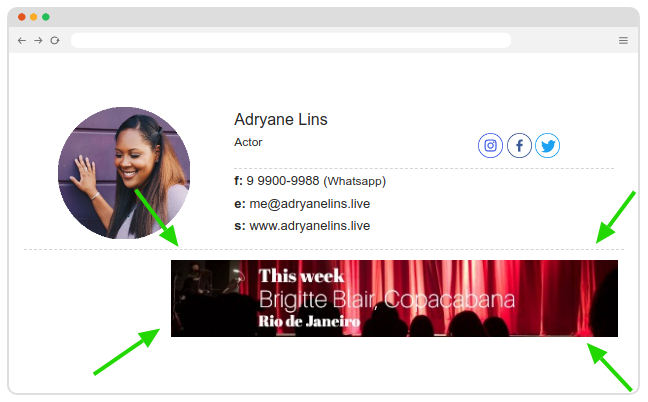 You can create HTML email signatures that can link the recipients to your social media accounts, like LinkedIn, Facebook or Instagram, for example. Not only that, but you can also lead them to a website, podcast, forum, or blog you think they would benefit from. Take advantage of the readily available tool to expand your social network connection, as this will improve your engagement on these sites as well. It can have an indirect effect on your SEO effectiveness, and it starts by simply providing the outlets for easy navigation. Again, you need to know what your recipients want from your brand first, and simply stuffing every link into your signature block just is not the way to go. Follow the thought process mentioned in the earlier section to help with your brand building steps. By using an email signature to promote your brand idea, you’re creating a perfect outlet for your recipients to explore your brand. Whether it’s the content you want them to see, promotional videos of a project you’re working on, or maybe you’re just looking to invite them to subscribe to your service, they’re all possible choices for it. However, you need to remember to optimize your sites and channel descriptions to make sure that everything runs correctly and quickly. This will ensure that your landing page doesn’t have a high bounce rate. You can have the most relevant, entertaining and useful content in the world on your website, but if the website itself doesn’t function properly, then no one will want to see it. Overall, the email signature is a cost-effective way to round out your marketing strategy. If you haven’t had one for your brand, now is the perfect time to start it. Do a market research and optimize your brand experience, and from there, the world is your oyster!